From the inspiration of “Bertoia” diamond chair, the twin-tower crossover creative design provides the aesthetic feeling of classic diamond cut art. Dual Core Absorber 3.0, 360″ supersonic speed round air duct technology, fast suction and exhaust, no dead angle, and avoid fume stay. 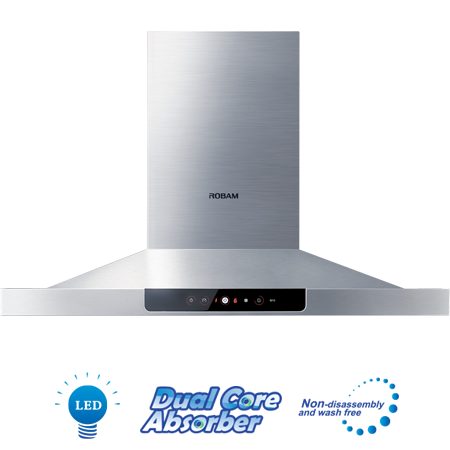 Ultrafast stir frying function with 19m3/min suction and exhaust capacity. A++ updated oil meshwork with powerful filtering function, without oil in cavity, non-disassembly and wash free. “360” cleaning manager”, without oil in cavity, automatic hint for oil meshwork cleaning, easy cleaning. Option of 60 minutes delay function. 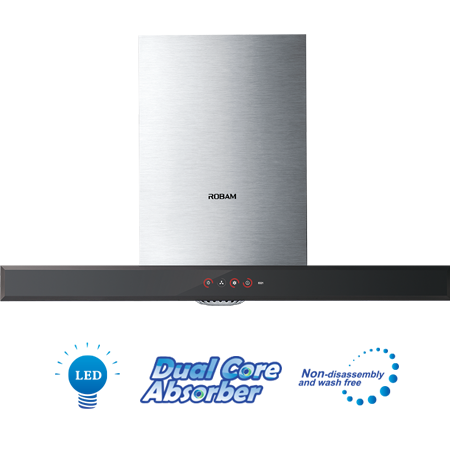 3-speeds plus ultrafast stir frying fan function. Crossover fashion appearance integrates T-shape plate with rigid deep cavity. 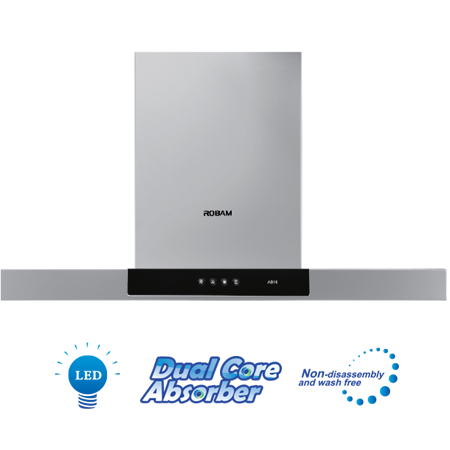 Dual Core Absorber 2.0 fan system provides unprecedented powerful suction and exhaust capacity, with ultrafast air quantity 18.5m3/min. 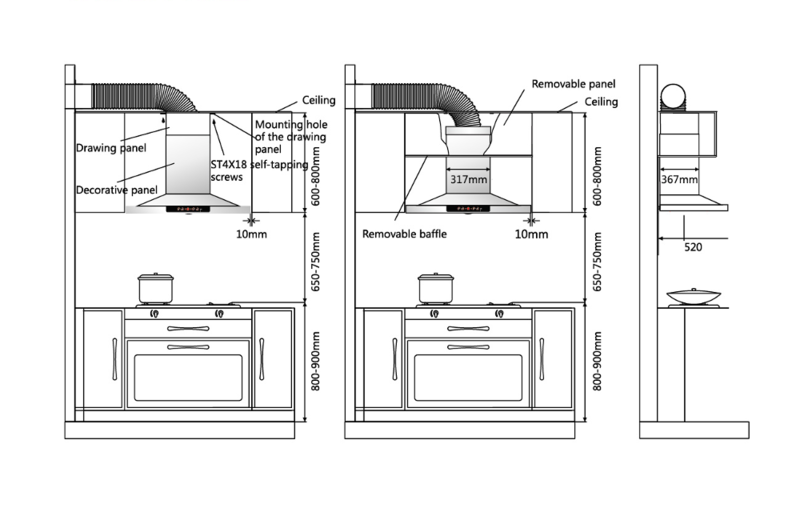 The seamless fumegathering cavity is instretched, guarantee without fume stay and convenient cleaning. 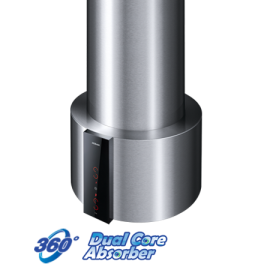 Dual Core Absorber 2.0, with 17m3/min air quantities, can achieve powerful suction and fast exhaust. Entire-new A++ rhomb oil, cleaning meshwork can completely filter fume. 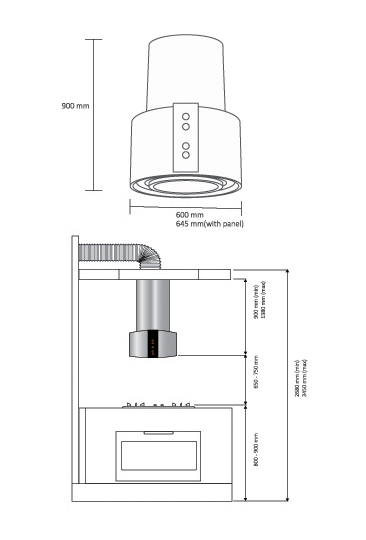 360 degree 3D helical air suction at 310Pa wind pressure avoids fume from escaping. 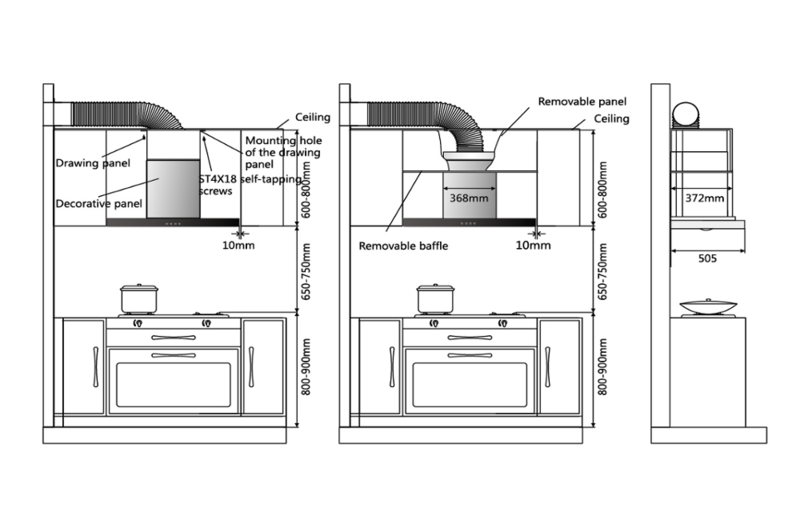 The seamless fume gathering cavity is integrally stretched, guarantee without fume stay and convenient cleaning. Tiger metal powder coating is easy to clean. 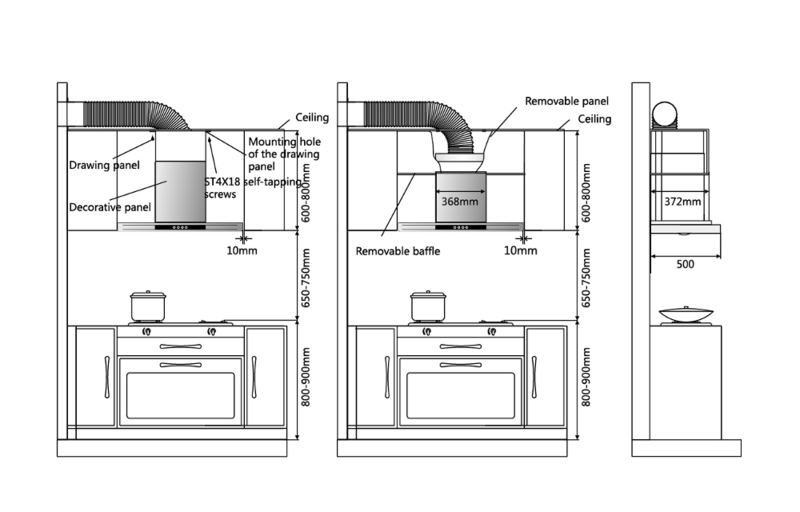 The thinner air duct system, can be integrated in the small kitchen perfectly. 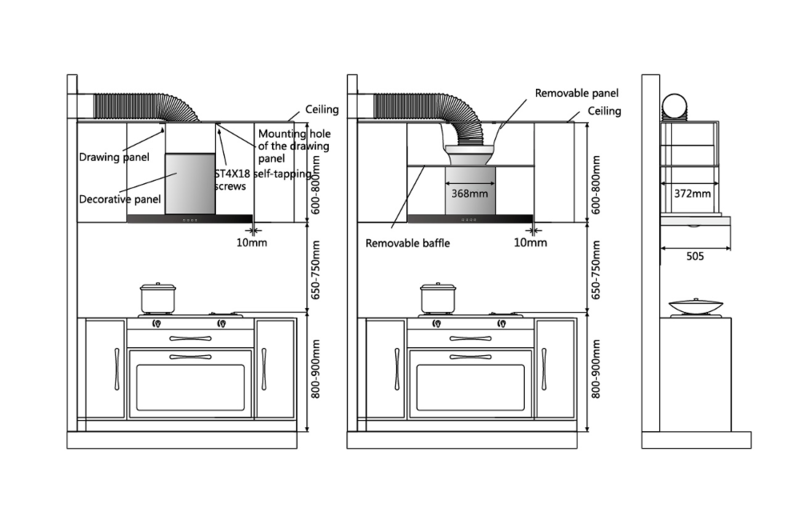 The patented A++ filter screen can completely filter fume, ensure clean inner cavity and long-term stable operation. 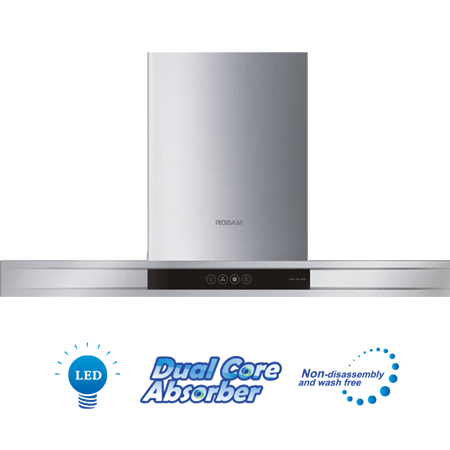 Dual Core Absorber 2.0 fan system, with 17m3/min air flow rate, can achieve powerful suction power. 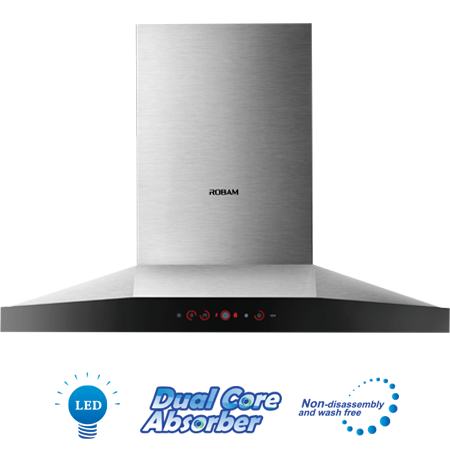 360 degree absorbing technology, with 320a wind pressure avoids fume escaping. Simple inverted “T” shape design. Integrated matte processing process is adopted, and the surface is coated by tiger metal molding powder certificated by EU RoHS. 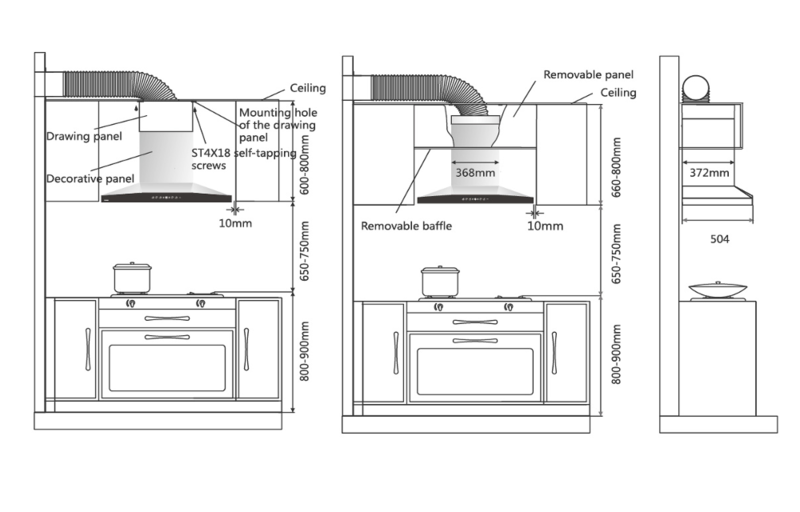 The patented A++ filter screen can completely filter fume and ensure clean inner cavity. Environmental nanomemter easy-clean and oil non-viscous coating has better water prevention, oil prevention and fouling prevention effect, without oil in inner cavity.